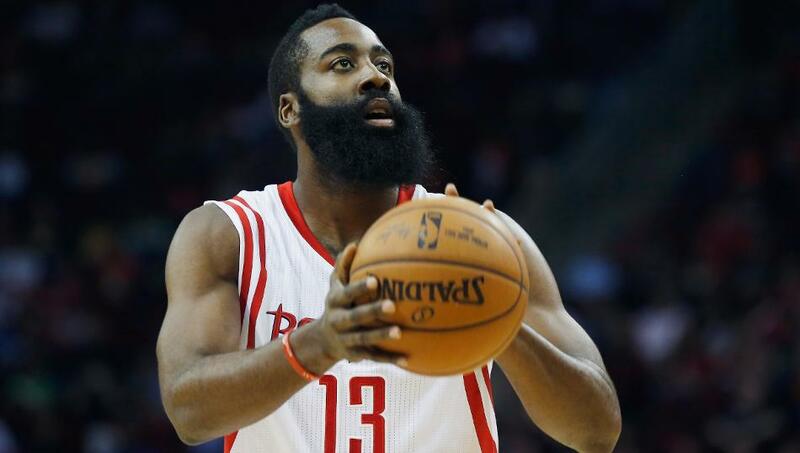 After the All Star weekend, we had to talk the best players in the NBA currently. Everyone decides their own criteria and we get a plethora of different lists and choices. Let's get into it. The best player in the NBA right now? A lot of people these days would say Steph Curry. Yes, he's playing in the perfect setup, yes, they argue that he can't defend and doesn't play like a pure PG, but that's beside the point. He's undoubtedly the best player in a team which is on track to finish with one of the best regular season records in NBA history, is coming off an NBA title winning season and may very likely win a second title this season. I don't even like the man but I can't deny that he is one of the best shooters of all time, and one of the best players playing right now. THE best player however? The person any team would take without hesitation because the fact that he can do it all so well allows him to fit into any playing style? LeBron James, of course. -Durant is still waiting for that first ring, but there's no doubt that his physical gifts combined with his skill makes him one of the best players in the NBA. -I think it's safe to say he's beyond the injury, and hopefully he can start seeing the success he deserves. -It's a tough choice, but I'm going to go with Chris Paul. One of the best pure point guards of all time. Let's get into some NBA talk. My list might ruffle feathers but it is what it is. Let's go. -What, were you expecting Alan Anderson? J.J. Redick perhaps? Be real. 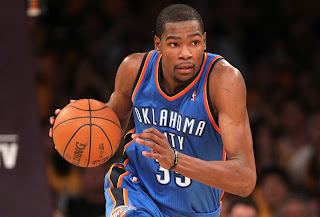 -He made OKC his team. Wasn't easy considering KD's legacy with the team. But, he's stepped up to the point where KD is Pippen-esque to Westbrook's Jordan. -Melo is finally playing again like the legend in the making he is. Too bad it seems that the Knicks are about to squander his legendary status. -What, Melo over Bron? I hear it already. Yes, Melo over Bron. Bron has, while still excelling, taken a step back this past year or so to that "I've got to score all the time" youngun we knew earlier in his career. Maybe a trade or two to give him some more support not named Kyrie is in order? I don't have all the answers. 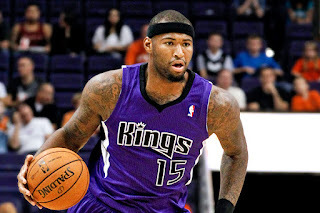 -Kinda in the same boat as Melo, but not exactly on the LeBron spectrum. The Wizards better hope their KDtoDC movement didn't screw them over. LeBron. Durant. Curry. Russ. Davis. In my opinion, these are the top five players in the league right now. I didn't mention Kobe Bean because he's a legend in his own right. It's almost a given. However, these five gentlemen are the best on the court right now. -LeBron James needs no real introduction. His work makes him arguably one of the best to touch the ball. 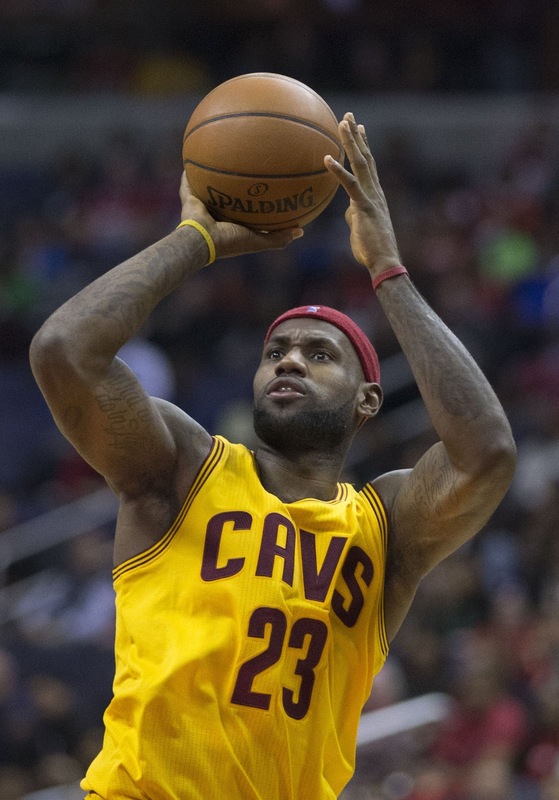 LeBron's athleticism cannot be ignored. As it stands, his goal is to bring a title to Cleveland. He's earned hardware in Miami and made it his personal duty to make the same magic happen at home. -Kevin Durant is just amazing to me. He's one of few players I actually enjoy watching just because of his skill set. Despite his injury last season, he's playing like nothing ever happened. Durant has a solid team around him and it's dope to see how well they play together. 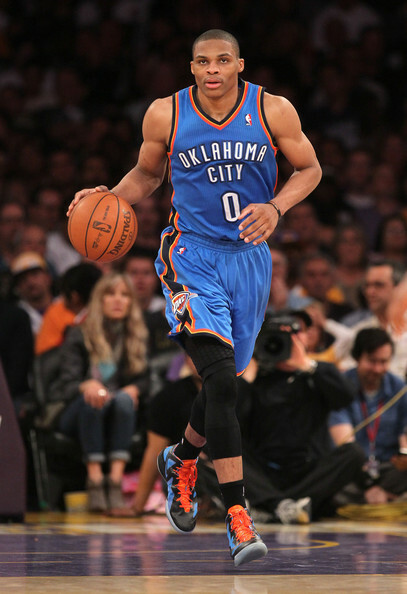 -On that same wavelength, Russell Westbrook is a more animated player than Durant. We've seen him mature over the course of his career. Not only known for his style of fashion, Russ's competitiveness is like no other. Watching him and Durant bring the Thunder close to another title is going to be an interesting ride. -You can't say enough about Stephen Curry. The man is amazing. He's confident in his athletic ability as well as in his team. Even when Curry has an "off day", his team still prevails. That's a sure sign that it's not just about him, in my opinion. Even watching Curry warm up is exciting because of his precision and consistency. He's out there having fun and it's hard to be mad at that. -I like Anthony Davis because he's young in his greatness. He's got so far to go and it'll be fun to watch him grow and perfect his craft. 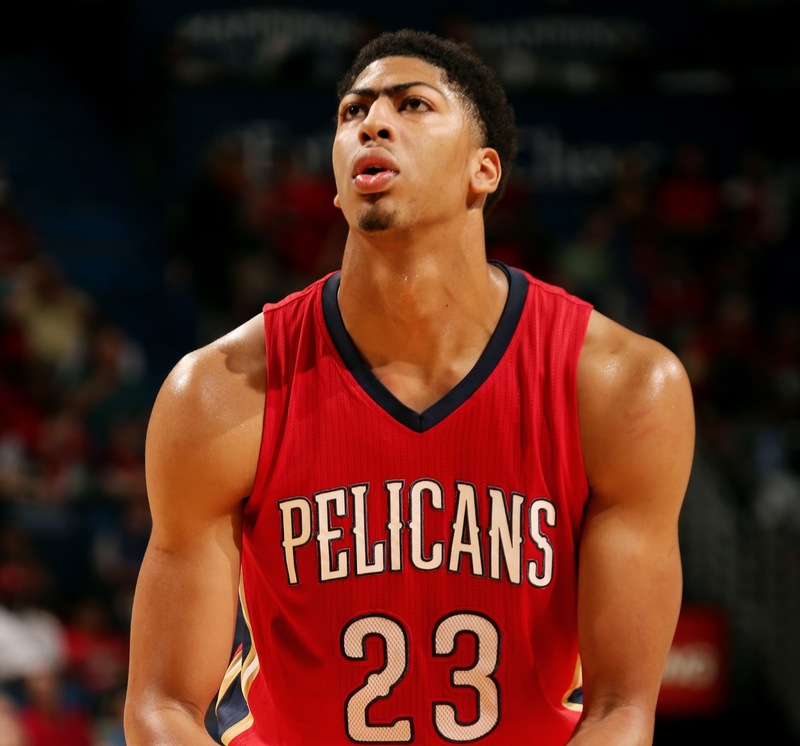 Davis is currently the face of the Pelicans but he's going to need a little more help from them down the line. Either way, he's going to be one to watch in the future. This list might shock some people. Let's go. -The King is still the best all around player in the league. Those young boys like Curry and Durant are great players, but they aren't the overall talent and complete as Lebron, not yet at least. The finals record isn't as good as it should be, but overall he is a top ten all timer. I think more rings on the horizon though so time will tell. -One of my all time favorites. I still consider him the 3rd or 4th best shooting guard of all time. 3x champion, guaranteed hall of famer. He still can play and hes one the best shot creators. -Hometown hero. I want Melo to get a ring somehow before he retires but we'll see. He still has the best shooting form in the league to me besides Steph and Klay. 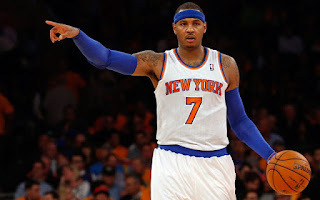 -This boy is impressive and he makes the Knicks fun to watch. He's been in the gym getting stronger so he'll be formidable later. He can shoot 3's and now he's comfortable in the paint, with a nice quick step. This kid can a superstar. -This kid has impressed me since his year in college. He's an all around player but he's still very raw. When he and Wiggins grow together and get better they will be a force. Before we start off, I just wanna say, this is not a biased statement, nor is it an actual opinion, it's a fact. So don't get upset. Facts only. Before I get to the best player in the league, I'ma start off with the top 5 players in the league. No order. Yes. If you wanna argue, you can either @ me or see me. Now, the best player in the NBA is without a doubt Wardell Stephen Curry. It's pretty obvious why. 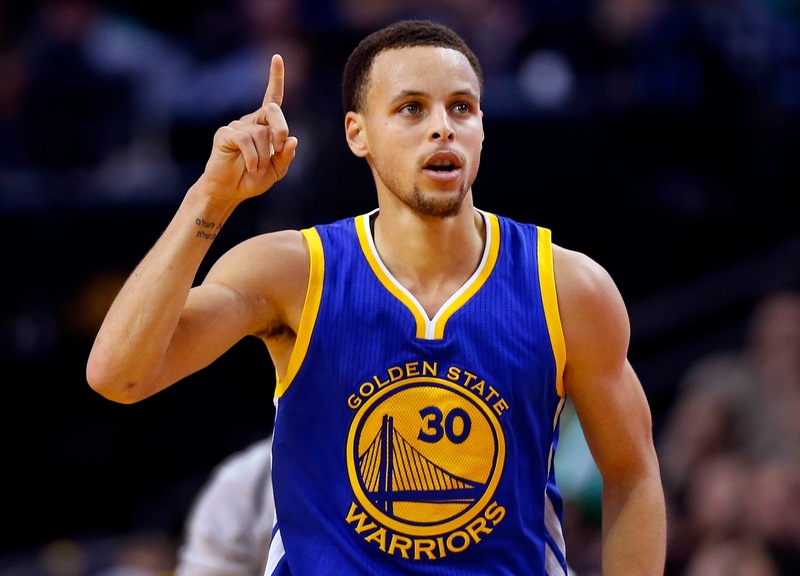 Everyone knows LeBron is the best OVERALL player, but in general, it's Curry. He can jack up 3's whenever he feels like it, and it'll just go in. The dude has some pretty dope handle & dribbling skills, and he's an underrated passer. We, NBA fans, are witnessing some of the best pure shooting we'll probably ever see. It's just art. The guy's life is perfect. I couldn't pick the top 5 overall so I just picked my top player for each position. This was tough to put in order, but let's go. -Bron is still the best player overall, but truthfully he's on the verge of possibly losing that distinction very soon. He's still a legend one of the best we've seen, but he could be dethroned soon. -The closest right now to that no. 1 spot and he's getting better. 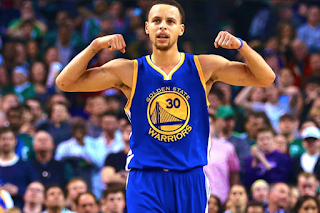 Steph is becoming a much better player all around and his defense has improved immensely. We shall see if he can keep this up for some more seasons. -Truthfully, Russ is the closest competition as an all around top player in the league. Out of KD's shadow finally, Westbrook has two All Star MVPs and a scoring title over the last two seasons. He keeps getting better. -KD is still one of the best. He's truly one of the premier shooters and he's getting better as a defender. Definitely deserves to be on this list. -So many choices for this last pick. I debated between Butler, Kawhi, Paul George, and a few others, but Demarcus has been playing amazing. Still immature and such but a great player and dominant. What's your top 5? Post them in the comments below.